Review by Neo: Sometimes, a film does not need to do much, nor does it require something extraordinarily to happen and it can still be a film that can relate, touch and affect one life. 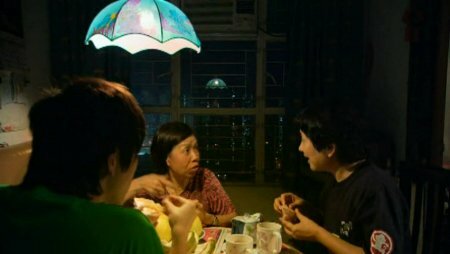 While, the usually dependable Ann Hui does not create a masterpiece, but it is probably safe to say that The Way We Are is very much a success story. After the bleakness shown in the city of sadness “Tin Shui Wai” with likes of Besieged City, the little Hong Kong city within borders of the mainland is filled with negative press, distinguishing of hopes and pure darkness. Here, director Hui is smart, by going back to the basics of filming, the very essence of human lives. The method taken is by filming a week or two in life of ordinary people. While it may seems that the film aren’t doing much, not going anywhere, the film still somehow leaves the audience wanting more and leaving the credits with a glimpse of hope within the shambles. 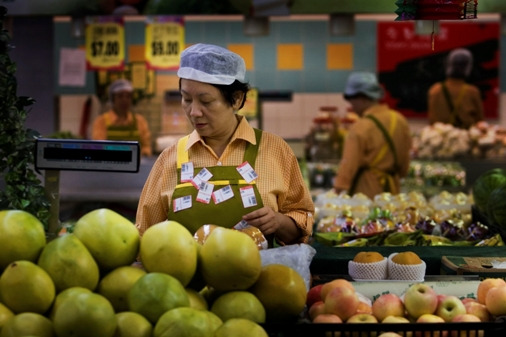 Casting a ballet of untried actors in the likes of Bau Hei-Jing as the happy-go-lucky mother who works hard day and night to supporting her teenage son (Juno Leung Chun Lung) as a duran fruit cutter and packer in the area’s Welcome Supermarket. Life is not easy, in fact, it’s difficult, but yet, Bau remains cheerful, hopeful and most important of all she is content of herself. On the other hand, we have her son, a reclusive young boy who prefers staying at home than going out. Then there are people who they bum into within their lives like the lonely grandmother living close by, or the random relatives who are much better off than they are. Not exactly a movie about the plot line or clever and intriguing premises, rather it is about the little things that happen in our real lives. What makes the film work is that Ann Hui is very much a director who looks at human emotions, and the very fact that she does not create or fabricate emotions to affect the audience, but rather creates real emotions about the simple aspects of humanity and the happening. The casting of Bau is top notch, as she is natural enough for the audience to relate towards. Her optimistic nature, despite all that she has gone through makes her extremely human and ultimately realistic. Likewise, as her son, Juno Leung steps in with a good debut performance. In no situation does Leung tries to be acting, but instead remains real and without a moment of laughable overacting. Other supporting actors, such as the old granny, repeatedly making the same dish, further emphasis what happens when you get older and basically how people lives.